See more about the month’s Full Moon names and their meanings. The moon is at it again, guys. And this time it’s going to help us let go of the past as we prepare for Jack Frost’s winter reign. Tomorrow night [TONIGHT 11/25,] the full moon will appear in all its spherical glory, and Refinery29 kindly pointed this out. But, this isn’t any old full moon – it’s actually known as the Mourning Moon. 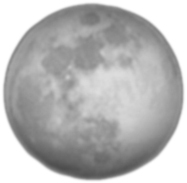 Other societies refer to it as the Snow Moon or Fog Moon. Certain Native American tribes prefer to call it The Moon When Deer Shed Antlers. And speaking of shedding, this special moon is symbolic of autumn’s end and winter’s beginning. According to Pagan traditions, the Mourning Moon is meant to signify a time of evolution. As this moon rises in the sky, it is recommended that we let go of the baggage we’ve been holding on to. We must cleanse ourselves as we reflect on this year’s happenings. Specifically, we must let go of anything that’s weighing us down before the new year begins. If you’d like to awaken your inner witch or wizard, there are several cleansing rituals you can perform beneath this Mourning Moon. First, think of all the past worries and problems you want to let go of. This can be something as simple as the splurge-y dress you bought yesterday that maybe you shouldn’t have bought yesterday, or as complex as a difficult breakup. Then, you can write all these memories down on a piece of paper and submerge it in a cup of water (since this element is connected to the Mourning Moon). That way you’re literally cleansing yourself of past baggage.